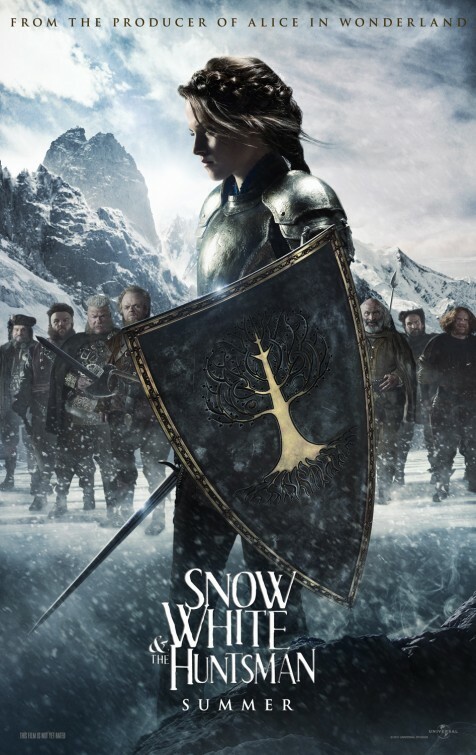 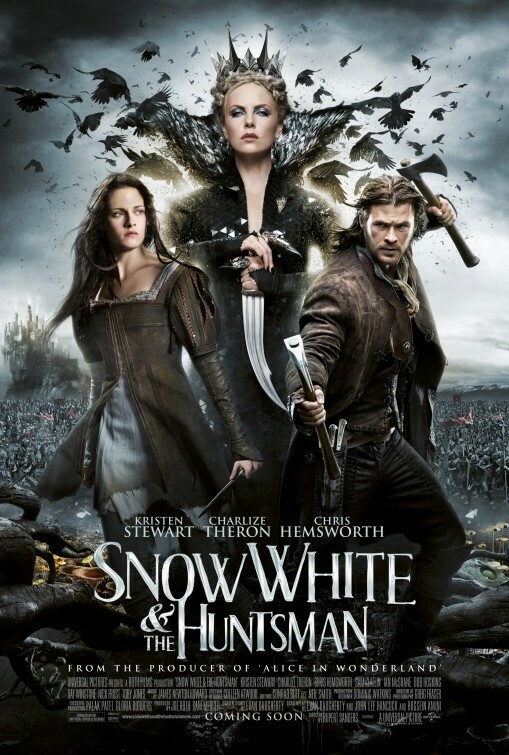 2012's Snow White & The Huntsman may have had its flaws, but in addition to the fabulous Charlize Theron who played 'Queen Ravenna' with relish, you couldn't fault the wonderful costumes in the movie either. 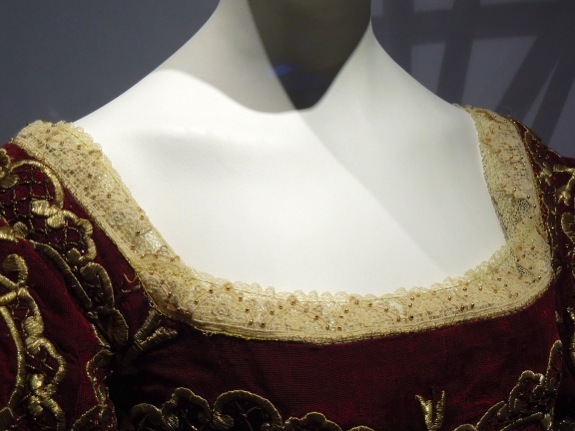 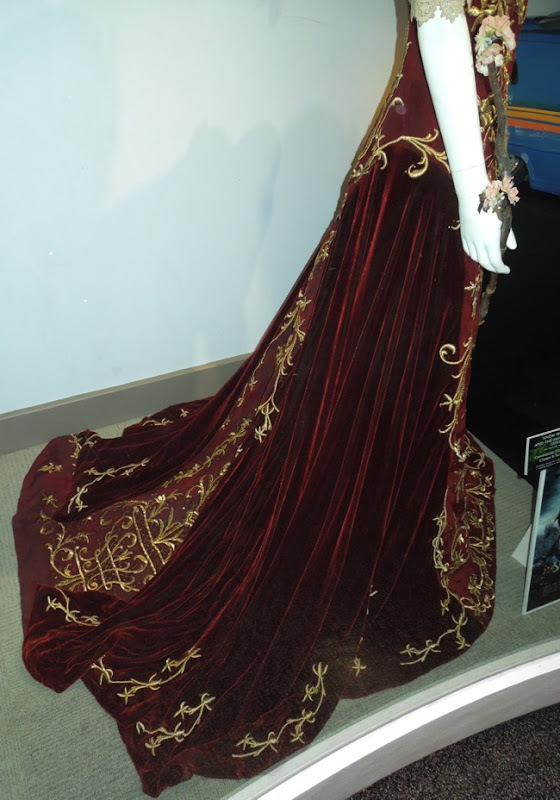 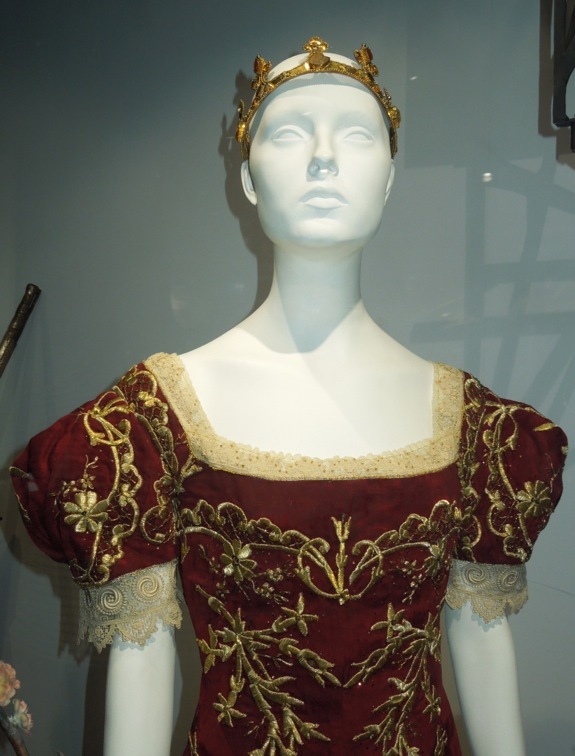 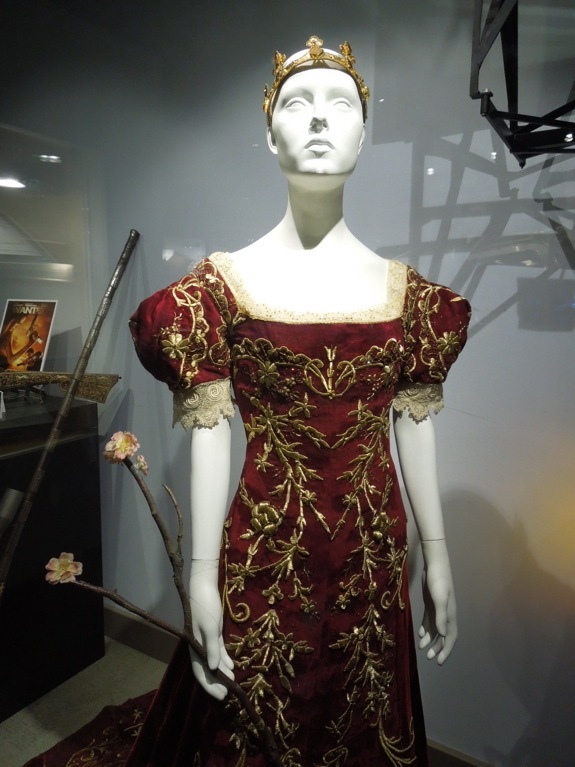 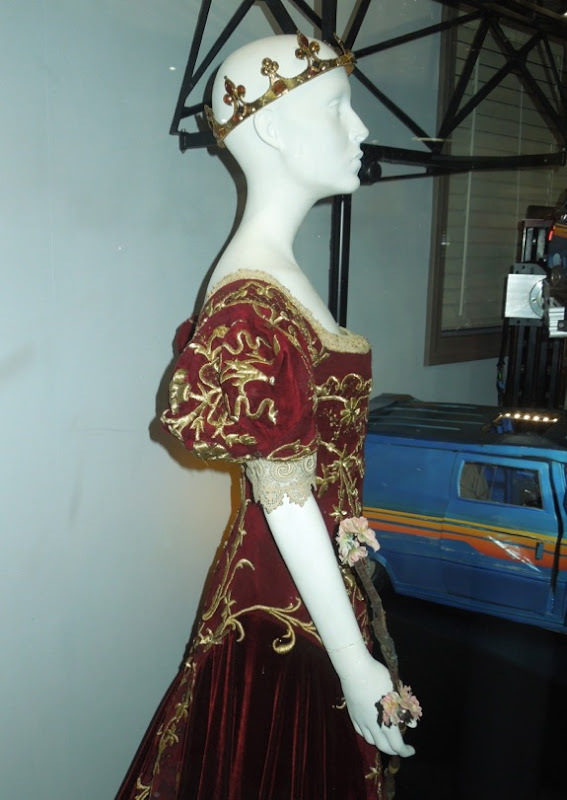 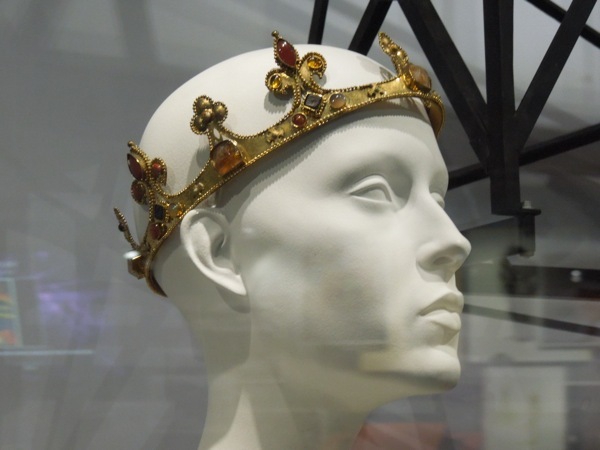 In fact the Medieval-fantasy earned Colleen Atwood an Oscar-nomination for Best Costume Design at the 85th Academy Awards and here's the coronation gown worn by Kristen Stewart in the movie. 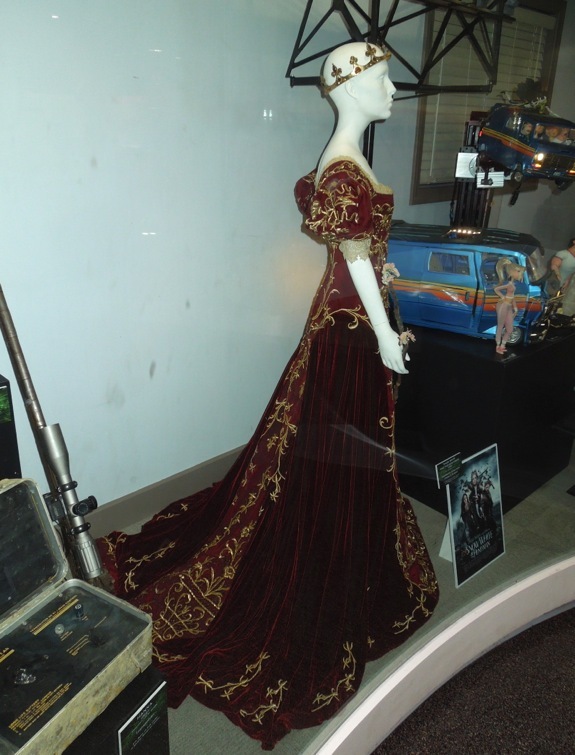 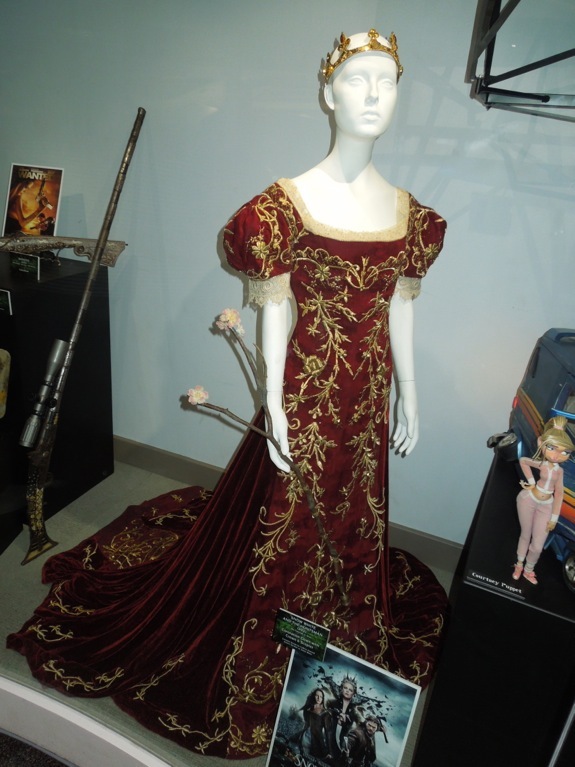 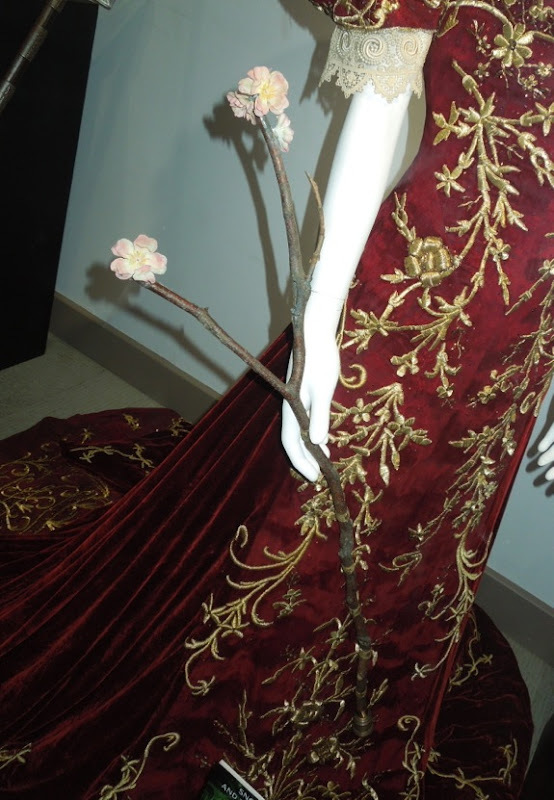 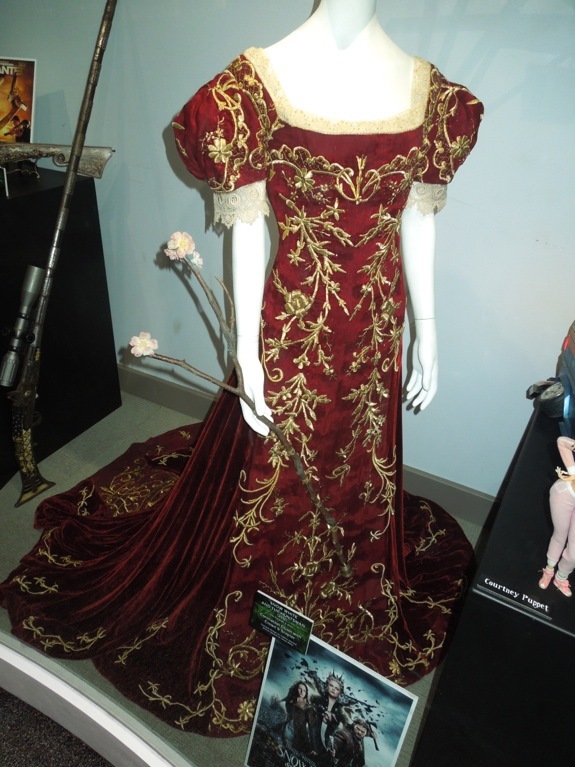 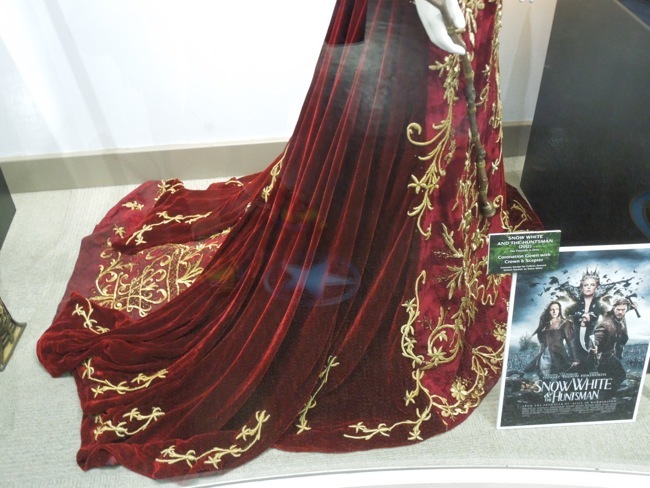 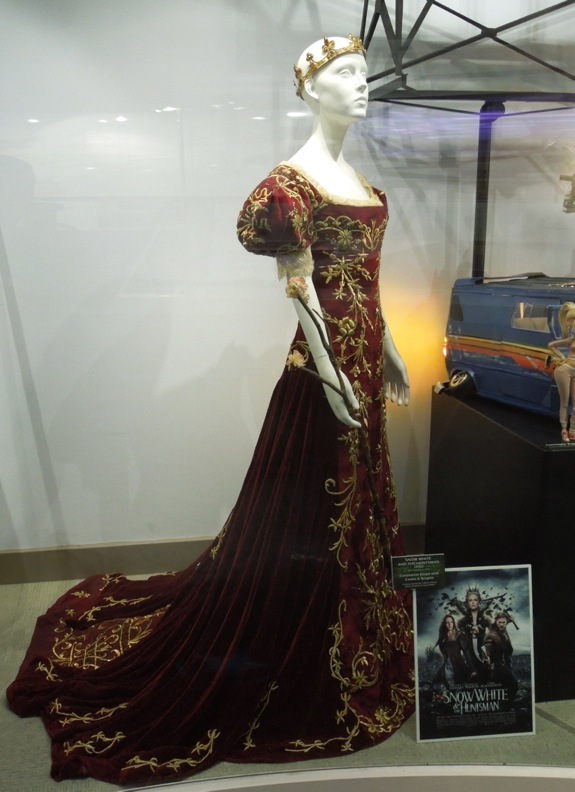 This stunning embroidered gown worn by Kristen Stewart at the end of the movie was photographed on display at Universal Studios Hollywood on May 7, 2013, alongside a whole treasure trove of original NBC Universal costumes and props. 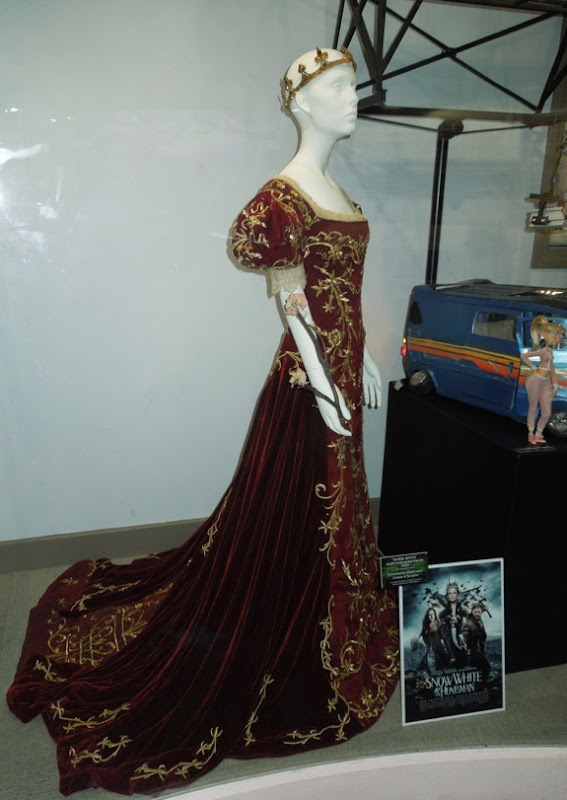 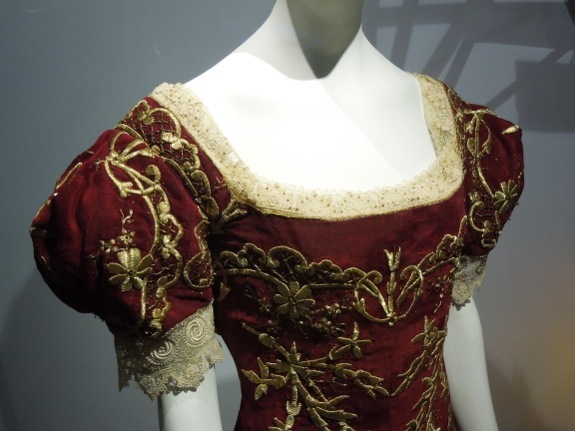 I know a lot of the costumers out there will love the detail on this rich ornate gown, and if you like this be sure to check out some of Colleen Atwood's Oscar-winning costumes from Alice in Wonderland, plus fabulous outfits from the musical movie Nine to name but a few. 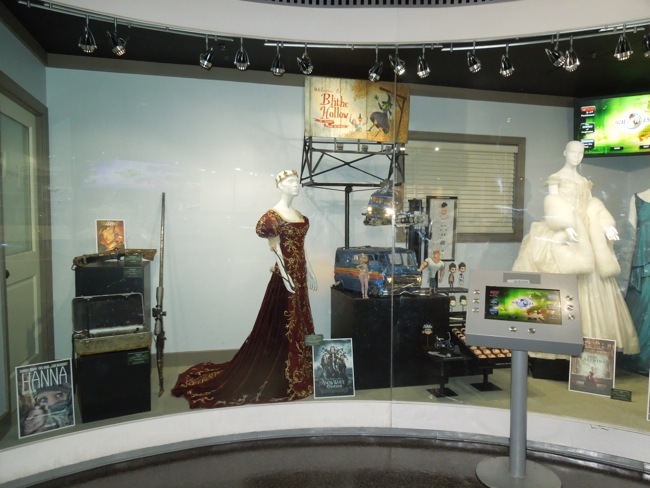 If you're a fan of the actress, be sure to check out these original costumes and props from The Twilight Saga, plus movie costumes from On The Road on display.